I want you to know right off the bat, that whether you’re interested in building your leadership presence at work, navigating difficult office politics or reducing your communication challenges with your colleagues, boss or direct reports, I can help you. The smallest tweaks in the way you communicate, can make the difference between success and failure. You can change the way you are viewed, the results you are able to produce and your job satisfaction. In fact, you can positively shift an entire company culture through a few well placed conversations. I’ve seen it happen! So what are you dealing with? Do you have an employee who is not pulling his weight? Maybe you want to put your foot down and ask for what you need from a boss or colleague, but don’t know how? Are you avoiding something – like firing or hiring someone? Is there someone at the office who is stabbing you in the back or under-mining your efforts? You have the power to effect change. I guess I’m a bit of a communication geek – because I’m fascinated by how a well placed word, compliment or phrase can make the difference between getting (or not getting) that raise, navigating a tricky political situation at the office or getting people on board with your initiatives. And when I started my career in the entertainment industry, my ability to communicate was tested again and again. Working with big egos in front of and behind the camera, trained me in the art of finesse, and grounded clear communication. Communication is not about win-lose, it’s about win-win. That is not airy fairy B.S. I mean it. You can create win-wins with communication. I would love to chat with you to learn about your unique goals. What are the gaps that you are ready to bridge? Is it time for a promotion? Are you frustrated with your management skills? Do you feel your talents are not appreciated at work? Do you feel you are going in circles no matter how hard you try? If you are ready to gain concrete results, you’ve come to the right place. I offer a free strategy session. Just click here to set it up! Jamee Tenzer is an international Executive Coach, Trainer and Mentor, and for 17 years, she has worked with Executives and Managers in industries including entertainment, non-profit and technology. 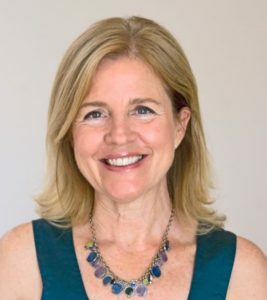 Jamee served as Supervisor, Mentor and Trainer for the International Coach Academy, is a trained mediator and is co-creator of three ICF Accredited courses; Deeper Conversations Coaching, Mentor Coach Certification and Real Coaching Sessions Unplugged. Prior to becoming a Coach, Jamee served as an executive in the entertainment industry working on numerous live network television shows and series.’ She also co-developed and co-produced the highly-acclaimed MTV television series and franchise; “Music in High Places,” sponsored by MSN, and served as the Marketing Director for the franchise. Jamee is a member of the International Coach Federation, Producers Guild of America and Academy of Television Arts and Sciences. She holds a certification from the International Coach Academy and credentials from the International Coach Federation and Center for Credentialing and Education.